Testosterone is one of the most important hormones in the human body. Healthy testosterone levels are crucial for maintaining muscle mass, sexual health, and mental well-being. Testosterone levels in men normally decline with age, usually beginning around age 30. 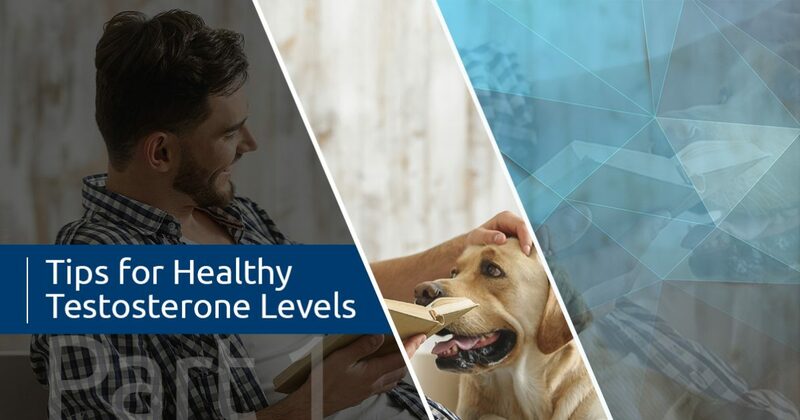 Some men will experience significant drops in their testosterone levels that cause negative and life-interrupting symptoms before and after age 30. In today’s post, we’ll provide you with a few tips for maintaining your testosterone levels as you age. Are you concerned about your testosterone levels? If so, testosterone replacement therapy may be able to help. Men’s Vitality Center in Glendale’s testosterone replacement therapy program can relieve your symptoms in as few as 14 days. Get in touch with our office today for an appointment! As we mentioned in a previous post, your weight directly affects your testosterone levels. Overweight and obese men are likely to have low testosterone levels due to reduced muscle mass and poor metabolism. Low testosterone levels also contribute to weight gain, making it incredibly difficult to successfully lose weight and return to a normal balance of hormones. Testosterone replacement therapy can help you break free of the cycle and lose weight efficiently. 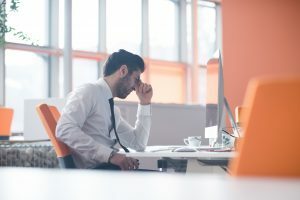 Recent studies have uncovered more and more ways that stress harms the body and decreases our mental well-being, and one of the most corroborated findings about stress is that it lowers testosterone levels. Cortisol is a hormone produced by the body during times of stress, and you can think of it as the body’s fight-or-flight hormone. Cortisol prepares the body to respond to a crisis — your blood pressure rises, your body stops burning fat, your appetite increases, and you may find it difficult to sleep through the night. While cortisol is incredibly important, chronic stress can cause the body to release more cortisol than it should, consequently leading to suppressed testosterone levels. Find ways to reduce the stress in your life, even if it’s taking a short walk in the evening or making time to read in the mornings — your body will thank you! Studies have shown that short bursts of intense exercise increase testosterone levels more than steady sessions of cardio and light weightlifting. While any exercise is better than none at all, exercising as hard as you can for short periods of time leads to the release of human growth hormone, testosterone, and other beneficial hormones. Other forms of exercise can help you maintain your weight, but high-intensity exercise has the added bonus of raising testosterone levels after the workout ends. You may even find that regular exercise helps decrease your stress! While these tips can help you naturally increase your testosterone levels, some men will need to begin testosterone replacement therapy before their testosterone levels are completely restored. If you’re concerned that low testosterone levels may be negatively affecting your life, then call Men’s Vitality Center in Glendale today to schedule an appointment. Our testosterone replacement therapy program has helped hundreds of men feel younger and healthier — don’t wait to take charge of your life!